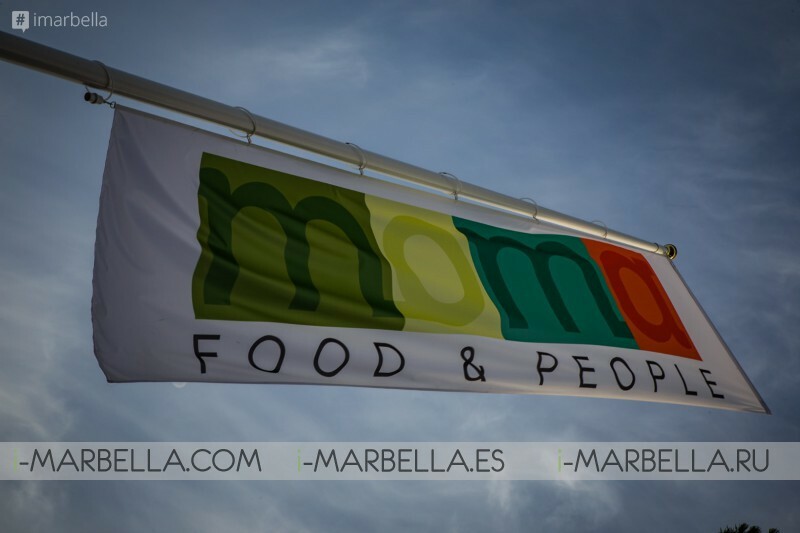 Moma Food & People celebrated its official opening in a very colorful way in Puerto Banús. 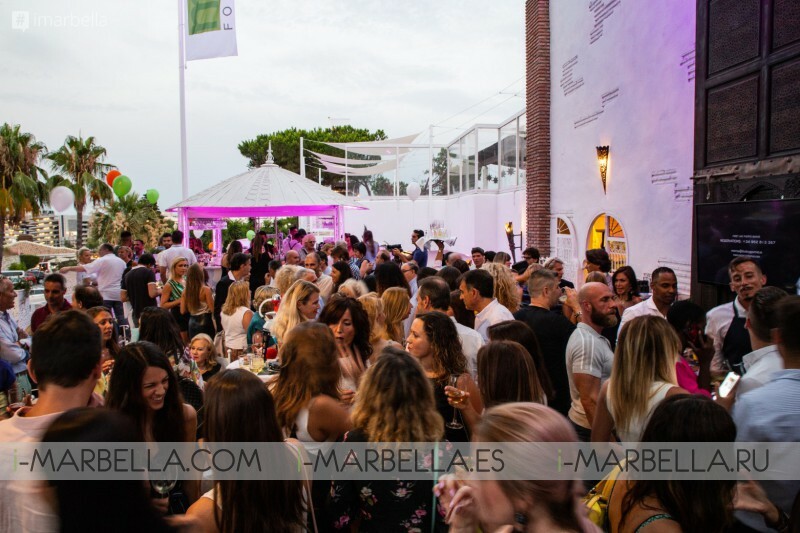 Its 6 spaces with terrace were filled with friends and visitors from the area to toast the birth of this innovative proposal for Marbella with Mediterranean character where the attendees could taste part of their refreshing letter accompanied by different animations made throughout the evening. Inspired by the boho look, but with a glamorous touch, it gave rise to a staging with a predominance of white and flowers both in its decoration and in the look of its guests. 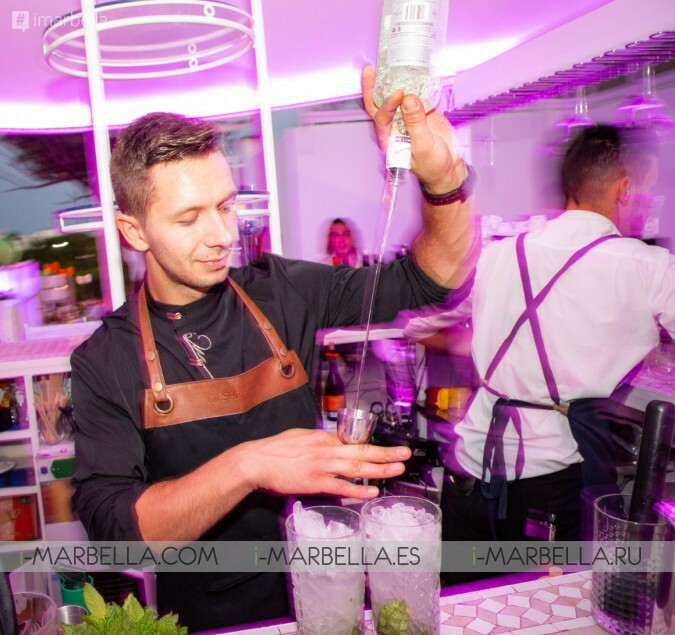 The beverage service offered an innovative mojito with the contrast of coffee flavor in addition to other exotic combinations. In addition, the guests were able to taste some local dishes among which were shots of gazpacho, tempura vegetables, snacks of Russian salad and varied mini-croquettes. The new place suggests a meeting between friends at any time in our daily life. This restaurant-terrace-cocktail-lounge surrounded by nature invites clearly to relax and delights of the senses, and will open from now on every day uninterrupted from 11 am to 1 am. 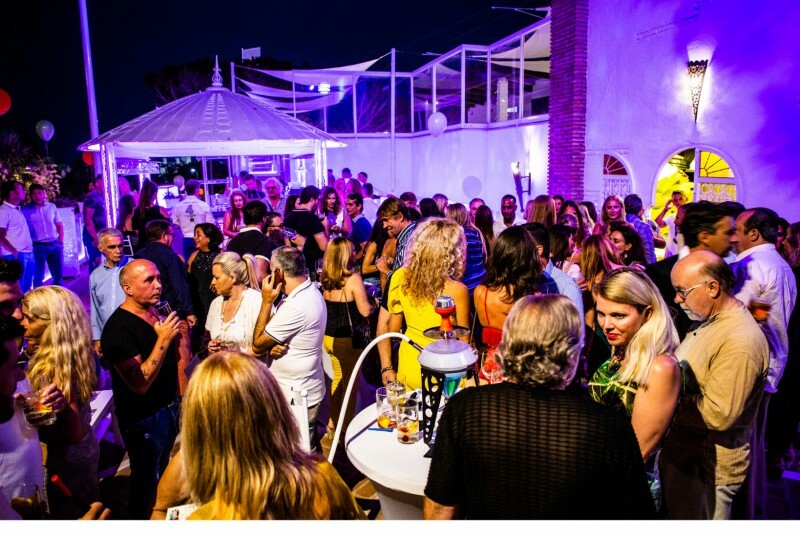 Moma establishes a new social meeting point in Puerto Banús and invites you to enjoy life and friendship, both for its variety of spaces and for its menu full rich in alternatives. 1. The main hall with a terrace perfect for observers and extroverts. With comfortable sofas, ideal for a juice, or a coffee. An area that connects with the living rooms inside and the outdoor terraces. 2. The most appropriate garden terrace for those who are calm or responsible. In a very large area, perfect for a quiet lunch or dinner à la carte. 3. The access terrace with high side tables, ideal for the affable or positive. Thought for light and agile tapas. In outer space next to the entrance, from them, you can see the exterior perfectly. 4. The interior rooms, which will be liked by the most discreet. With less visibility and more reserved, even a private room is available. 5. The area of jaima for the originals. Do you fancy an exotic tea or a shisha? 6. The cocktail lounge, for the leaders, those of strong character. An area with a differential character, to be more comfortable and enjoy the place more peacefully. Moma will be captained by Aritz Arrieta, who has the experience of the management of restaurants like Ikea in Vitoria with a Michelin star and more than 20 years of experience in hospitality; and with Iván Pérez at the kitchen, who is renowned for his career in different restaurants on the Costa del Sol. Address: C/ Manolete s/n, 29660 Marbella.